Professional Supplement Center now carries Genceutic™ Naturals, a line of eco-friendly nutraceutical formulations created with clean, natural and organic ingredients. Genceutic™ Naturals combines scientific discoveries with patented, clinically researched whole food ingredients to provide highly effective cutting-edge products. Formulated by highly qualified technicians and scientists, all products are manufactured in certified cGMP FDA compliant facilities. 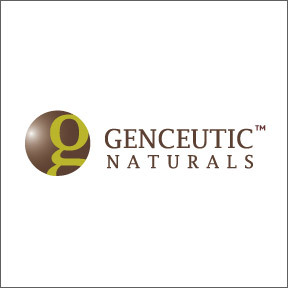 Genceutic™ Naturals remains committed to providing safe and effective top-quality formulations designed to support vitality and overall wellness. Genceutic™ Naturals is a proud participant in the EPA’s Green Power Partnership program that encourages the purchase of green power to reduce certain types of air pollution and carbon dioxide emissions. Their QAI organic certification ensures organic integrity from farm to post-harvest facilities to processing plants. All raw ingredients and formulations are free of chemical pesticides, herbicides, fungicides and synthetic ingredients. Wild & Pure™ Resveratrol: Standardized to contain 98% trans-resveratrol extracted from wild crafted organically grown Muscatine grapes and Japanese knotweed, this 100% vegetarian formula supplies a full spectrum of naturally occurring polyphenols, proanthocyanidins, anthocyanins and flavonoids in support of cellular health, antioxidant protection and healthy aging. Sulfite free formulation. U.S. Grade A Colostrum 1000 mg: Extracted from Non-GMO, licensed U.S. Grade A dairies, this rBST, hormone, antibiotic and pesticide free colostrum supplies natural immunoglobulins, lactoferrin, leukocytes, cytokines, interferon and proline-rich polypeptides in support of healthy immune and digestive function. 24hr Microactive® CoQ10 100 mg: This patented water dispersible 24hr Microactive® CoQ10 is formulated for consistent and enhanced absorption especially helpful for those who have difficulty absorbing CoQ10. CoQ10 supports cellular energy production, as well as cardiovascular and immune functions. Gluten free, Non- GMO vegetarian formulation. Certified Organic Milk Thistle 350 mg: This raw organic milk thistle seed extract naturally supplies a full spectrum of advanced bioactive flavonolignan silymarin compounds in support of normal healthy liver detoxification, liver protection, and glutathione production. Non-GMO, vegan formulation. pTeroBlue™ Pterostilbene 100 mg: This unique advanced 99% pure trans-Pterostilbene complex is formulated with wildcrafted Alaskan blueberries in support of overall health, healthy insulin function and healthy cholesterol and glucose levels already within the normal range. Gluten free, Non-GMO vegan formulation. This entry was posted in Home and tagged 24hr Microactive® CoQ10 100 mg, Certified Organic Milk Thistle 350 mg, Genceutic Naturals – Featured Brand, pTeroBlue™ Pterostilbene 100 mg, U.S. Grade A Colostrum 1000 mg, Wild & Pure™ Resveratrol. Bookmark the permalink.